You’ve saved diligently, built an impressive nest egg and now you’re ready to call it a career. Great, just one question: Do you know how much you’ll have to shell out each year to cover your expenses after you retire? It’s an important question because unless you have a good idea of what it will actually cost to live the lifestyle you envision, you run the risk of running through your nest egg too soon. Unfortunately, research shows that many people don’t have a very good handle on what their post-career expenditures will be. More than a quarter of retirees recently polled by the LIMRA Secure Retirement Institute said that their basic living expenses in retirement were higher than they expected, while half of the retirees surveyed for a just-released Wells Fargo study said they were paying more than they anticipated for health care. Part of the problem is that many, if not most, people assume their spending will drop after they leave the workforce. But that’s not always the case. When Employee Benefit Research Institute researchers studied retirees’ spending habits in 2015, they found that in the first two years of retirement nearly half (46%) of retirees were spending more than they did before retiring and that by the sixth year of retirement more than a third were still doing so. And we’re not talking negligible increases here. The majority of these bigger spenders had boosted their outlays more than 20%. How, then, can you get a more accurate handle on the retirement expenses you’ll face so you can better gauge whether you actually have the resources to retire and reduce the odds of depleting your savings too soon? Here are three things you can do. 1. 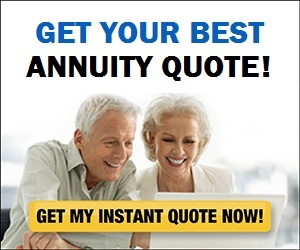 Develop a retirement budget. When retirement is still decades away, it may be okay to rely on the rule of thumb that says 70% to 80% of your pre-retirement income should cover your retirement expenses. But once you’re into the home stretch to retirement—say, within five to 10 years of leaving your job—you really need to get a better fix on what your actual retirement expenses will be. 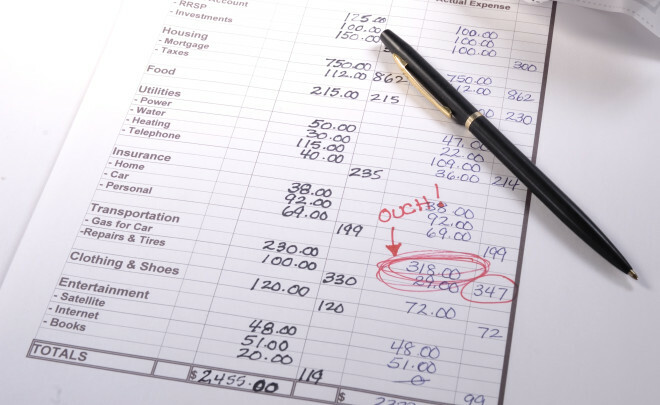 The best way to do that: create a retirement budget that details your expenses, line by line, item by item. You won’t be able to predict costs down to the penny (or even to the dollar, for that matter). But the idea is to make the best estimate that you can and then refine your figures as you approach and enter retirement. You can write out a budget with pencil and paper if you like, but you’ll probably find in much easier to do it with an online budgeting tool. For example, BlackRock’s Retirement Expense Worksheet lets you enter upwards of 50 different expense items in eight broad categories. The tool also distinguishes between essential living expenses, such as housing, food and transportation, and discretionary outlays, such as entertainment and travel. By seeing how much of your income is required to fund essential expenses vs. discretionary items, you can better see how much wiggle room you have should you need to pare your spending in the future avoid depleting your assets too soon. 2. Home in on health care. A recent Northwestern Mutual survey found that a majority of Americans cite health care costs as the biggest obstacle to achieving financial security in retirement. That’s not surprising. According to the Bureau of Labor Statistics’ 2016 Consumer Expenditure Survey, health care ranks as the third largest expense behind housing and transportation for households 65 and older, accounting for 13% of annual spending on average. Throw in the fact that health care costs are often a wildcard that can be devilishly difficult to predict, and it’s all the more crucial that you get as accurate an idea as you can of your potential health care costs. You can get a general sense of how much you might need to budget for health care in retirement by going to AARP’s Health Care Costs Calculator, which you can access, along with other tools and calculators, in the Health Care section of RealDealRetirement’s Retirement Toolbox. You enter such information as your age, gender, and any health issues you may have (high blood pressure, heart problems, whatever). The calculator then estimates the total costs you’ll pay over the course of retirement, breaking that figure down into the portion covered by Medicare and the amount you’ll have to foot on your own. It also shows the annual tab and displays a graph depicting how costs rise each year throughout retirement. Although it will take some digging, you can get come away with a more customized estimate of how much you might have to pay based on the version of Medicare you choose (traditional or a Medicare Advantage Plan) and whether you opt for a Medicare Supplemental coverage plan and/or a Plan D Medicare drug plan by going to Medicare.gov. For a price comparison of Medicare Advantage Plans in various cities as well as other Medicare resources that can be helpful in gauging costs, you can check out out MedicareNewsWatch.com. Of course, no estimate will be able to tell you your exact costs, as they can vary significantly from the averages based on your current and future health status. But by starting with a reasonable estimate and updating it periodically based on your health, insurance coverage and the costs you actually incur, you should be able to arrive at a decent senses of how much income you’ll need to devote to this large and important expense. Do you expect to continue living in your current home or do you plan to downsize to smaller, less expensive digs in hopes of lowering housing costs and perhaps even coming away with a chunk of money you can add to your nest egg? Will you stay in your current town or city or try relocating to an area with lower living costs? Do you envision spending most of your time close to home or do you foresee a more peripatetic lifestyle, traveling around the globe or perhaps splitting your time between homes in different parts of the country? These and other questions (Do you hope to work part-time? Volunteer? Go back to school?) are the kinds you ideally want to mull before you retire not only because they’ll help you get a better handle on the expenses you’ll face and thus the income you’ll need, but because grappling with them makes it more likely that your time in retirement will be enjoyable and fulfilling.